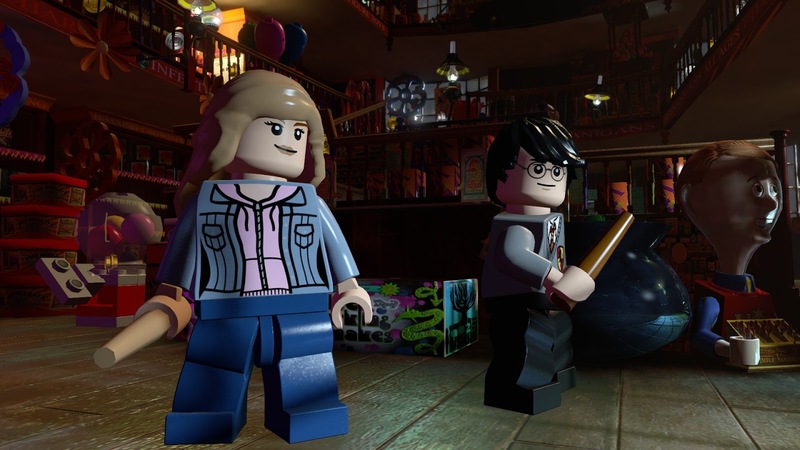 Warner Bros. Interactive Entertainment announced today the release of three new expansion packs, avaliable in the UK on Friday 12th May, for LEGO® Dimensions™, the LEGO® toy and videogame hybrid. The Goonies™ Level Pack, the Harry Potter™ Fun Pack and LEGO® City Fun Pack will broaden the selection of the world’s most popular entertainment brands available for the game, allowing players to customise their experience by mixing and matching favourite characters and universes with full compatibility. 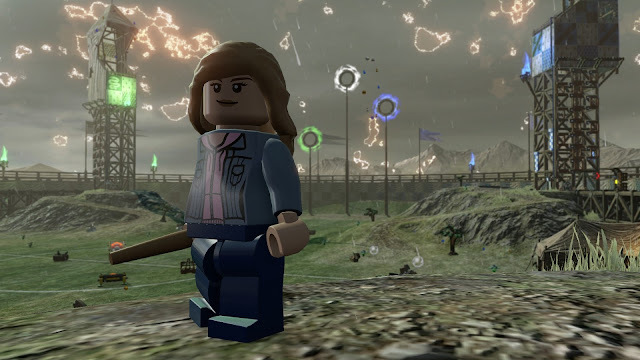 LEGO® minifigures included in the expansion packs come with special, golden Toy Tags which unlock a Battle Arena within the Free Play Adventure World of the corresponding entertainment brand. Each Battle Arena has four different gameplay modes and comes with its own traps, special powers and interactive environments that make every battle arena unique. The Goonies™ Level Pack includes a complete level of The Goonies™ gameplay where fans can play through the story of the iconic ‘80s film, helping Sloth and Chunk escape the Fratelli hideout and join the rest of the Goonies on their search for One Eyed Willy’s treasure. 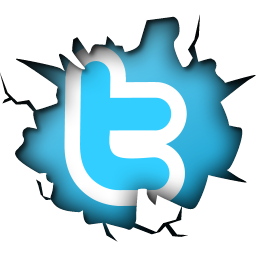 Players can use Sloth’s Super Strength to smash through walls or play as Chunk and use his infamous Truffle Shuffle. The rebuildable One-Eyed Willy’s Pirate Ship will sail on water and can also be built into the Fanged Fortune and the Inferno Cannon; while the rebuildable Skeleton Organ has Sonar Smash abilities and can also be built into the Skeleton Jukebox and Skele-Turkey for added gameplay capabilities. Sloth provides access to a new The Goonies™ Battle Arena, and also the Adventure World where players can explore Mikey’s House, Inferno Cove and the Goon Docks. 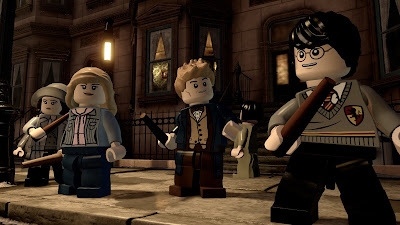 Once the level is complete, players will be able to replay through the game and other levels as any of the seven other Goonies characters to solve additional puzzles and access more collectibles in their journey through the LEGO® multiverse. 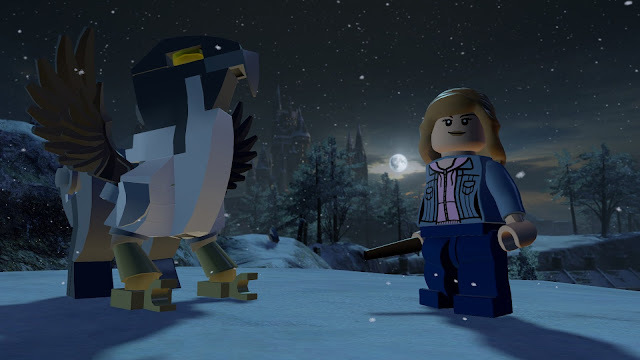 Players can extend their wizarding adventures in LEGO® Dimensions™ with the Harry Potter™ Fun Pack which includes a Hermione Granger LEGO® minifigure. She can cast magical spells such as Wingardium Leviosa to levitate objects and Lumos to light up dark places. She also allows players to unlock the Harry Potter™ Battle Arena for a competitive match, along with the Adventure World where they can explore locations in Hogwarts, Hogsmeade and Diagon Alley. 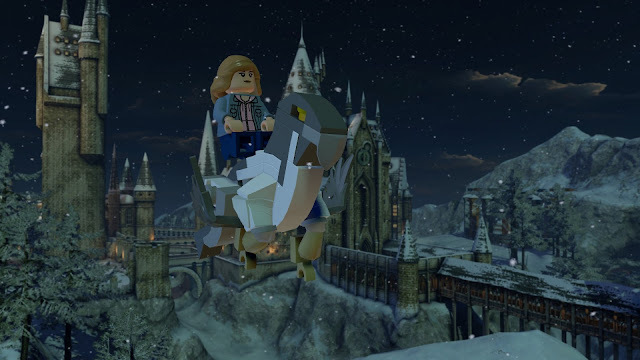 Players can build the 3-in-1 rideable Buckbeak the Hippogriff and use its Stomp Attack to smash Silver LEGO® bricks, and then rebuild it into the Giant Owl and the Fierce Falcon for additional in-game abilities. Players can help stop crime in the LEGO® Dimensions™ multiverse with the LEGO® City Fun Pack featuring a Chase McCain LEGO® minifigure. Chase can become a Miner to break Silver LEGO® bricks or a Fireman to use his Water Beam to put out fires. Gamers can use his LEGO® City Detective Scanner to track down bad guys and change his disguise to unlock more abilities. In the LEGO® City Adventure World, there are new areas to explore like Blackwell’s moon base and the LEGO® City Police Department. Players can also compete with up to three of their friends in the LEGO® City Battle Arena. Additionally, Chase’s 3-in-1 Police Helicopter can be built to fire off bolts, then rebuild it into the Police Hovercraft and Police Plane for additional in-game abilities. Developed by TT Games and published by Warner Bros. Interactive Entertainment, LEGO® Dimensions™ is available in the UK on the 12th of May for PlayStation®4 and PlayStation®3 interactive entertainment systems, Xbox One, Xbox 360, and the Wii U™ system.